The Ian Nicolson Audubon Center at Rowe Sanctuary is located near Gibbon in south-central Nebraska and each year a few hundred THOUSAND Sandhill Cranes spend some time here during their migration north. I'm not sure of the numbers I saw from the photography blind I was in but it was in the "Tens of Thousands". 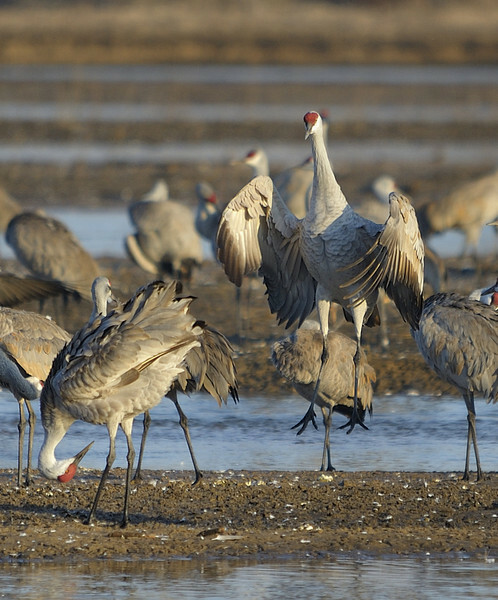 The cranes spend the night in the river to keep predators away and then fly into the surrounding farmland to feed each day.